“The duellist demands satisfaction. Honour, for him, is an appetite. This story is about an eccentric kind of hunger. It is a true story and begins in the year that Napoleon Bonaparte became ruler of France”. (prologue of “The Duellists”). Like many people, I watched this film, after “Alien” and “Blade Runner” both directed by Ridley Scott. I was then very impressed by the elegant direction of Ridley Scott in another universe than Science Fiction. 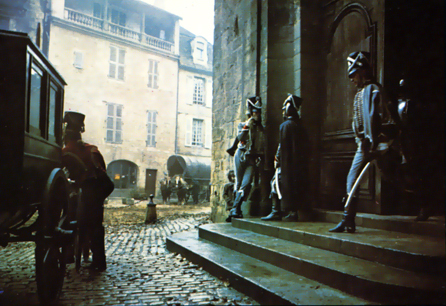 There are other movies about the Napoleon period, among them we can retain “Napoleon” (Abel Gance / 1927), “War and Peace” (King Vidor / 1956) and “Waterloo” (Sergei Bondarchuk /1970).But, “The Duellists” must be regarded as a special Napoleonic Movie because there are no big battle scenes, but rather a lot of intimate and emotional moments. For these reasons it must be seen separately from the above mentioned epics. That’s why I like it and choose to write a topic about this film. 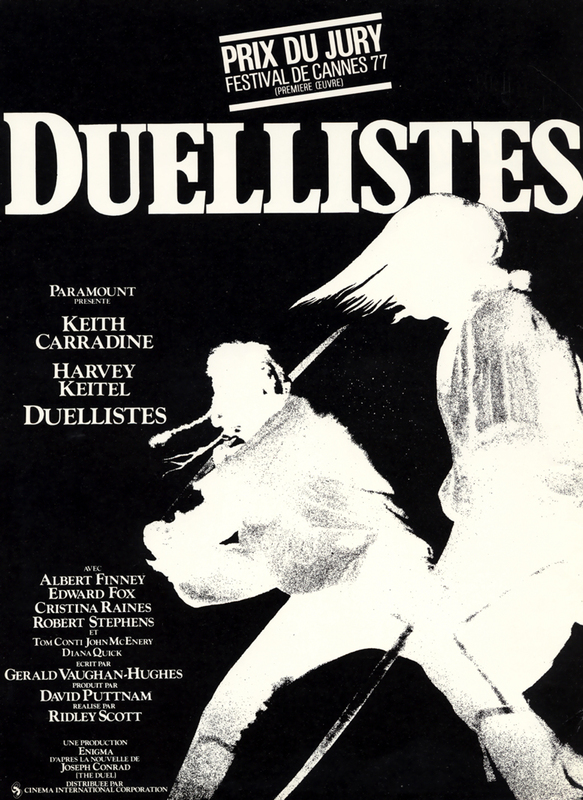 “The Duellists” is a film adaptation of a Joseph Conrad short novel, “The Duel” (“Point of Honor” / 1908). This movie was shown two years before the monumental epic movie war of Francis Ford Coppola’s masterpiece, “Apocalypse Now” (1979). It is a historical drama film based on a true story which has its genesis in the real duels spread over 19 years between two French Hussar officers during the Napoleonic era and even after : “The general Pierre-Antoine Comte Dupont de l'Étang and the general François Fournier-Sarlovèze”. But above all, it must be noted that it was the first movie directed by the acclaimed British director Ridley Scott (“Alien” (1979), “Blade Runner” (1982), “Thelma and Louise” (1991), “Gladiator” (2000), “Kingdom of Heaven” (2005) and “Prometheus” (2011)) ! In 1976, Scott, first known as a prominent director of television commercials in Britain choose the Conrad’s novel for his debut as a feature director. Enigma Production with David Puttman (“Chariots of Fire” (1981), “Local Hero” (1982), “The Killing Fields” (1984), “Cal” (1984), “The Mission” (1986), “Memphis Belle” (1990)…) agreed to produce the movie. With the help of Paramount Picture, Putman succeeded in getting a budget of $ 900 000 ! (considering of today’s inflation rate, we could multiply the amount by two or three…). The first Scotts’ choice for the two leading parts, were Oliver Reed and Michael York but the financial costs could not afford to get them. 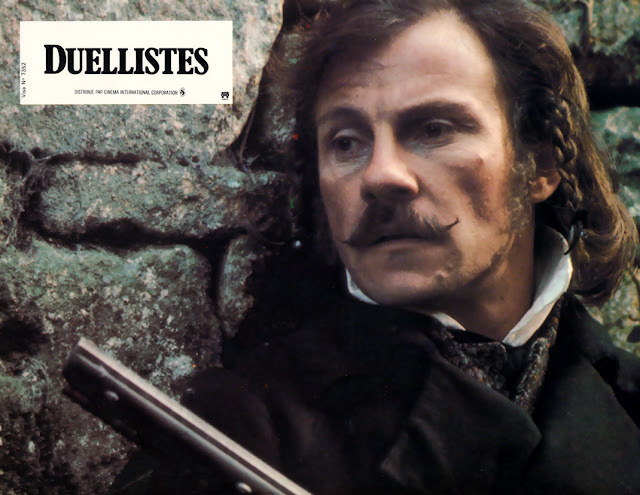 After several months, Keith Carradine and Harvey Keitel became the characters of the two French hussars. The two talented American actors were joined by an outstanding cast : “Albert Finney as the Minister of Police Joseph Fouché, Edward Fox as the Colonel Reynard (a Bonapartist agent), Christina Raines as Adele (d'Hubert's wife), Tom Conti as Dr Jacquin (an army surgeon and friend of d'Hubert), Robert Stephens as the Brigadier-General Treillard, John Mc Enery as Second Major (Feraud's second in the final duel), Diana Quick as Laura (d'Hubert's mistress), Meg Wynn Owen as Leoni (d'Hubert's sister), and Alan Webb as Adele's uncle and the narrator was Stacy Keach”. Gerald Vaughan-Hughes (“Sebastian” (1968)) wrote a very great screenplay from the Conrad‘s novel. The producers gathered a very fine team of technicians, Frank Tidy was the cinematographer (“Sweet Liberty” (1986), “Under Siege” (1992), “Chain Reaction” (1996)…), Tom Rand (“The French Lieutenant’s Woman” (1981), “The Bridge” (1999), “The Count of Monte Cristo” (2002)…) was the costume designer, Susan Barrabel was the make-up supervisor, Paul Nix was the hairdressing consultant, Rita Wakely was the wardrobe Mistress, and Bryan Graves was the art director. The duels were superbly choreographed by William Hobbs (“H.M.S. Defiant” (1962), “Cyrano de Bergerac” (1990), “Rob Roy” (1995), “Games of Thrones” (2011)…) and the late and well-known military historian adviser Richard Holmes gave a very helpful participation to the movie. 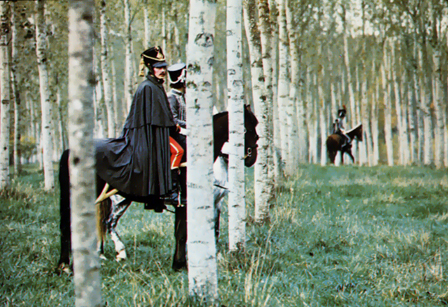 Still today, the film is praised for its historically authentic portrayal of Napoleonic uniforms and military conduct. For the film score, Scott and Putman”s the first and the only choice was, Howard Blake (“Riddle of The Sands” (1978), “Flash Gordon” (1980), “The Snowman” (1982), “The Snowman and the Snowdog” (2012)). Scott and Blake have been known each other because they already worked before on a series of television commercials. Together with “War & Peace” (1952) and “Waterloo” (1970) (both scores written by the great and famous Italian composer Nino Rota), “The Duellists” is one of the best score ever written for a Napoleonic movie ! The composer told that he selected some concert music of the period that he merged with his own music with a view to give the feeling of a “source music”. Also, he used a large symphonic orchestra to dramatize the romantic and tragic mood of the story and underline the loneliness of the Carradine‘s character. 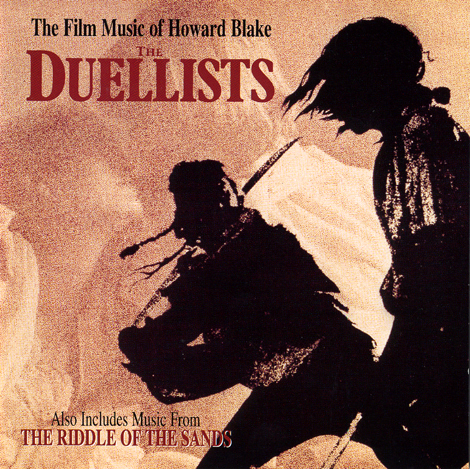 The Main Theme of "The Duellists"
“In my first experience as a feature director, I was fortunate enough to be introduced to Howard Blake, who proved to be a sensitive guide into the mysteries of film scoring. It was beautifully evocative music for my film”. In 1979, the director asked Howard Blake to compose the score of his next movie “Alien” but the Twentieth Century Fox executives preferred the veteran composer Jerry Goldsmith to him. Unfortunately, the two artists will not work again for the big screen. The photography of the movie is marvelous and Ridley Scott took the work of the cameraman with the collaboration of Frank Tidy. Together, they did an incredible job. 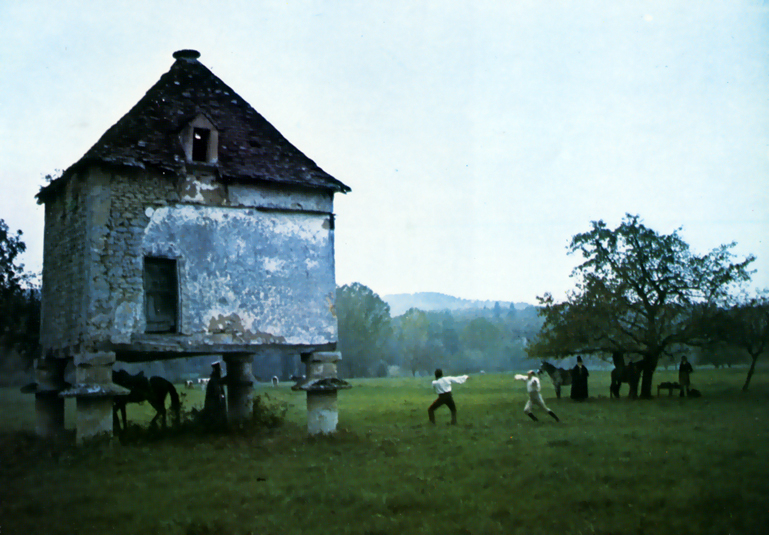 The main locations used for shooting the film were in and around Sarlat-la-Canéda in the Dordogne region of France. Never the Dordorgne country was so beautiful with a great sense of poetry and a clever approach of the naturalistic painting of the period. 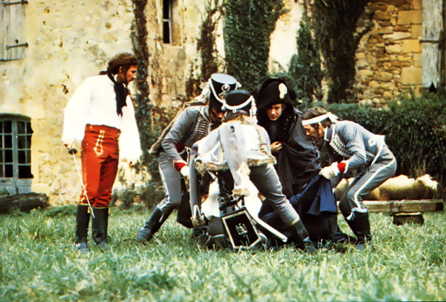 The result was so stupendous that the critics compared “The Duellists” to Stanley Kubrick's “Barry Lyndon”. 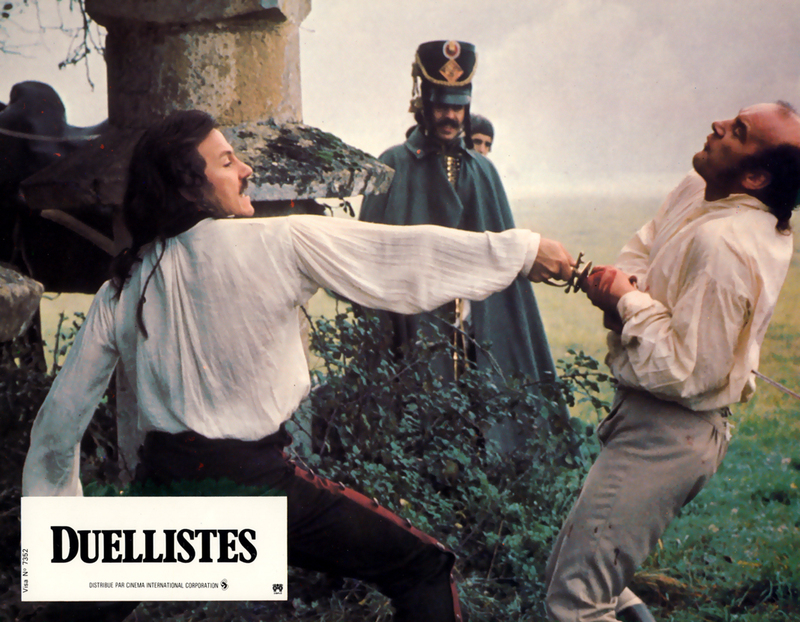 For Ridley Scott, “The Duellists” was a wonderful luck and he succeeded very well. The reviews of the critics and the audience were good, especially in Europe. But not in United States, because the film was considered as an “Art” movie. Thus, the commercial impact of the movie on the international market was limited. Despite, this ridiculous statement, “The Duellists” was nominated for the main prize at the 1977 Cannes Film Festival and won the special Jury Prize as best debut film. Keith Carradine and Harvey Keitel gave one of their best performances, alike, the rest of the cast was just perfect. 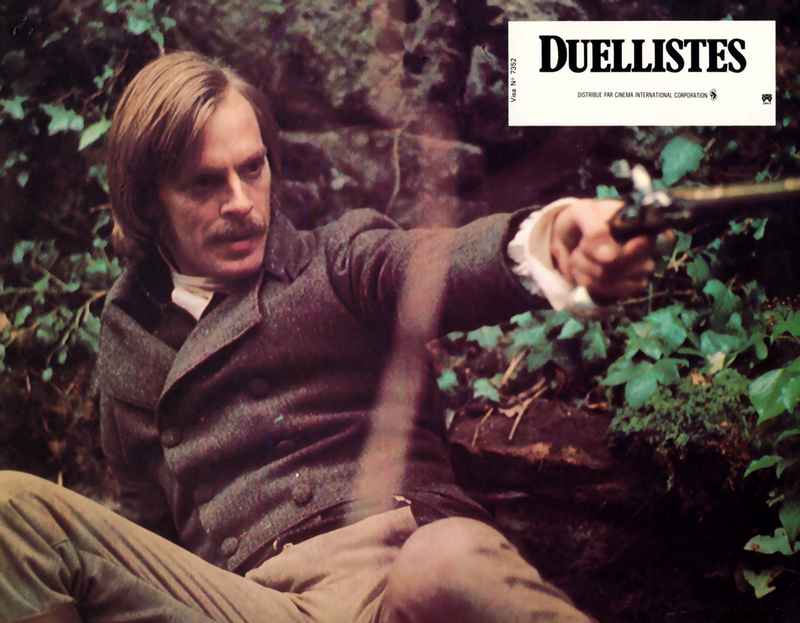 Armand D'Hubert (Keith Carradine) : “You have kept me at your beck and call for fifteen years. I shall never again do what you demand of me. By every rule of single combat, from this moment your life belongs to me. Is that not correct? Then I shall simply declare you dead. In all of your dealings with me, you'll do me the courtesy to conduct yourself as a dead man. I have submitted to your notions of honor long enough. You will now submit to mine”. Director Ridley Scott once said of the film's central theme of the movie : "The one man played by Harvey Keitel is a prisoner of his own hatred. He must kill or be killed. Keith Carradine plays the other man who is honor bound to fight. It is a fascinating story of man's violence within himself". 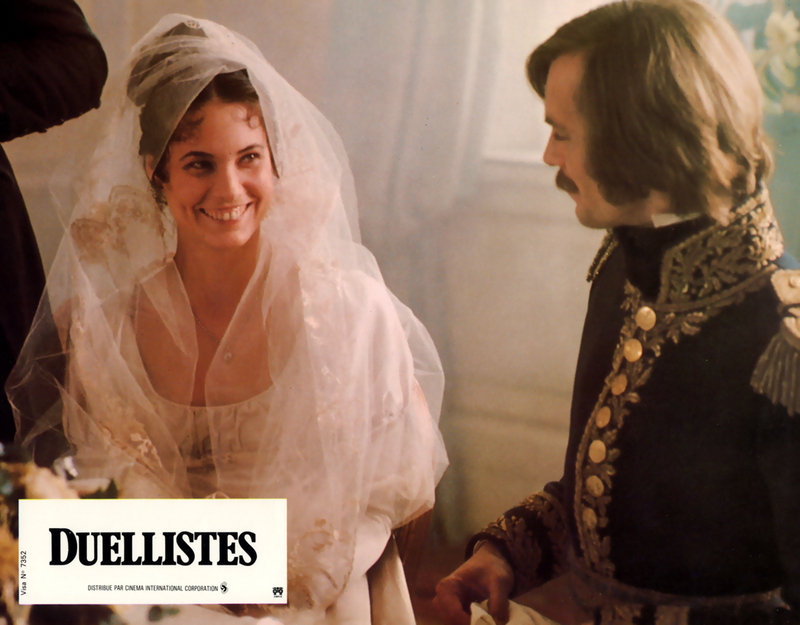 “The Duellists” by Ridley Scott, the US Press Book (In English), 1977, Paramount Picture, US. (This press book includes movie production information, actors' and actresses' biographies, as well as, synopsis information about the movie…). “The Duel” by Joseph Conrad (in English), 2011, Melville House, USA. 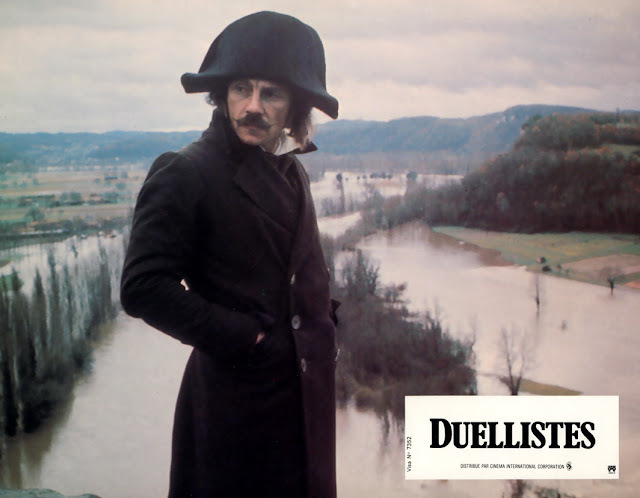 “The Duel/ Le Duel” by Joseph Conrad (in English and French translation), 1998, Folio Bilingue, Gallimard, France. “Le Duel” by Joseph Conrad (In French) 2010, Edition Sillage, Translation by Marie Picard, France. 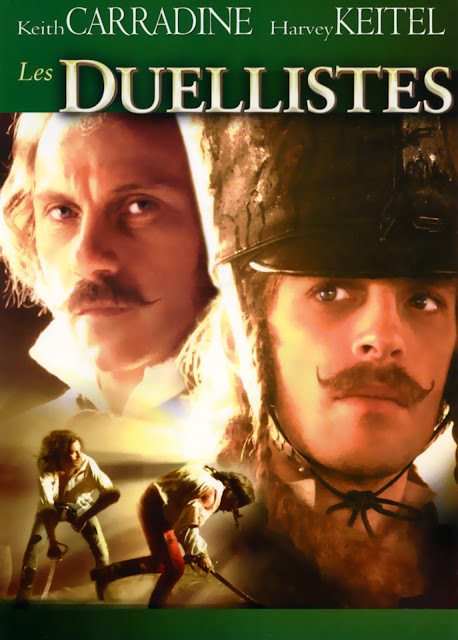 “The Duellists” by Ridley Scott, 2003, Paramount Picture, US DVD Zone 1, Ref. N° B00006JU7U, Widescreen Edition, NTSC, 1.85.1. Languages : English English (Dolby Digital 5.1) and French (Dolby Digital 2.0 Mono). (Special Features : “A commentary by Director Ridley Scott and the Composer Howard Blake ; A short documentary (“Duelling Directors”: Ridley Scott and Kevin Reynolds featurette) ; "Boy and Bicycle" (Ridley Scott's first short film) ; Photo Galleries and Storyboards”). “The Duellists / Les Duellistes” by Ridley Scott, 2003, Paramount Picture, FR DVD Zone 2, Ref. N° B000089QL7 / EU 100832, Widescreen Edition, Pal, 1.85.1. (This edition contains the same special features than the US DVD issue). 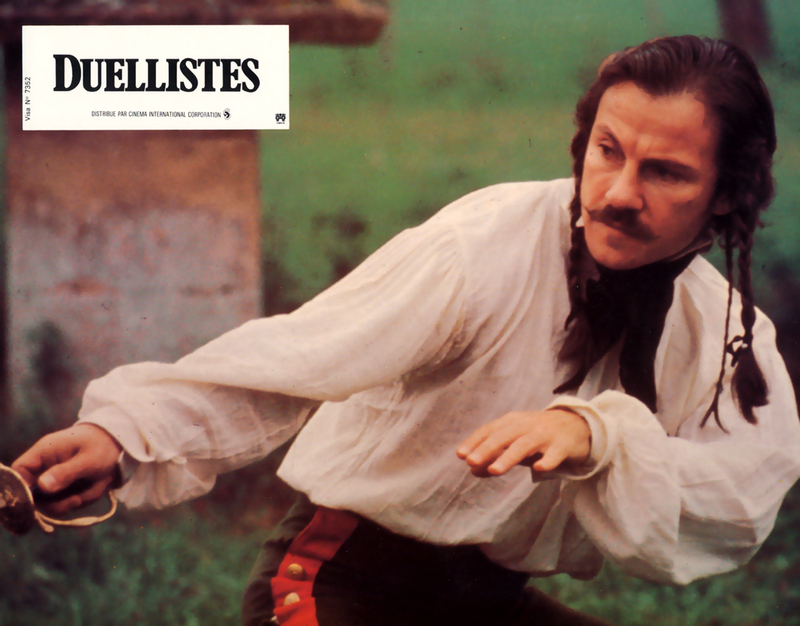 CD Promotional Album of the original score of “The Duellists” by Howard Blake, Airstrip One Cie,N°AOD HB002, 2000, USA. (This album is paired with “The Riddle of The Sands”, 33 tracks, Stereophonic Sound, Total CD Time : 73.54).